November 30, 2014 - Gratitude Giveaway winner TBA. October 13, 2014 - Malinda won a copy from Her Angel Series! Thanks goes to Felicity Heaton for sponsoring this giveaway. April 13, 2014 - Mary, Heather, and Wajiha won a copy of The Medea Complex! Thanks goes to Rachel Florence Roberts for sponsoring this giveaway. February 1, 2014 - Vero won a copy of Anna and the French Kiss! Jennifer won a copy of Hopeless! Nikki at Reviews by Abby won a copy of The Raven Boys! Brooke won a copy of Goddess! Soo won a copy of Second Chance Summer! Dea won a copy of Just One Year! December 1, 2013 - Laura won a copy of Hopeless! October 9, 2013 - Lejla won a copy of Kinetic! Thanks goes to SK Anthony (author) and Xpresso Book Tours for sponsoring the giveaway. October 7, 2013 - Lorna won a copy of The Devil You Know! Thanks goes to JM Gregoire for sponsoring the giveaway. July 14, 2013 - Jasmyn won a copy of The Girl with the Iron Touch! July 7, 2013 - Jyanna won a copy of Snow White Sorrow! Thanks goes to Cameron Jace for sponsoring this giveaway. July 7, 2013 - Holly at Confessions of a Female Bookaholic won a copy of The Athena Effect, The Mackenzie Legacy, and a charms bracelet! Thanks goes to Derrolyn Anderson (author) for sponsoring this giveaway. April 6, 2013 - Michele, Bonnie, Pati, Kenia, and Annah won a copy of Prophecy Girl! 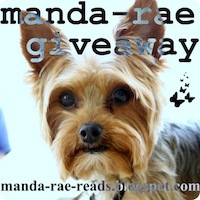 Thanks goes to Faith McKay (author) for sponsoring this giveaway. February 27, 2013 - Brooke won a copy of Clockwork Princess! January 28, 2013 - Seyma won a copy of Time Tunnel! Gaby won a copy of Beautiful Disaster! Zsófia won a copy of Sweet Evil! December 27, 2012 - Kelly won a copy of The Grimm Diaries Prequels! Thanks goes to Cameron Jace (author) and Xpresso Book Tours for sponsoring this giveaway. December 24, 2012 - Katlyn won swag from Nikki Jefford! Thanks goes to Nikki Jefford and Xpresso Book Tours for sponsoring this giveaway. December 10, 2012 - Jessica at Read my Breath Away won a copy of Code Name Verity! November 25, 2012 - Kah at Not Just Nonsense won a copy of Black City! November 17, 2012 - Angie at Books4Tomorrow won a copy of Solid! Thanks goes to Shelley Workinger (author) for sponsoring this giveaway. September 15, 2012 - Heather at The (Mis)Adventures of a Twenty-Something Year Old Girl won a copy of Chastity! Thanks goes to R Rodriguez (author) for sponsoring this giveaway. September 6, 2012 - Dana, Liss, Hannah, Erika, and Shirley won a copy of Pledged! Thanks goes to Swallow Press for sponsoring the giveaway. Carrie at Sweet Southern Home won a copy of Onyx! Kyra at Blog of a Bookaholic won a copy of Anna and the French Kiss! Eileen at Singing and Reading in the Rain won a copy of Such a Rush! Angie won a copy of Paranormalcy! Lexie at The Book Bug won a copy of The Death Cure! June 7, 2012 - Hira won a copy of Across the Universe! June 3, 2012 - Beth won a copy of Grace! May 14, 2012 - Alinka won a copy of The Hollow of Mont Noir! Thanks goes to Jennifer Krey (author) for sponsoring this giveaway. March 14, 2012 - Maritza won a copy of Across the Universe! February 29, 2012 - Suz at A Soul Unsung won a copy of Born Wicked! December 18, 2011 - Karina at Book Away won a copy of Clockwork Prince!